A staple standard in kitchen design has always been to select a single cabinet color and pair it with a single countertop. When we look back over the kitchen remodels we've completed in the past two years, however, we see a trend emerging- the use of multiple cabinet door colors across the kitchen. By using two or more cabinetry colors, homeowners are also able to play with the idea of including more than one cabinet style, which gives the kitchen a more unique personality. Mixing countertop materials and colors as well creates a color story that is more complex even as all the elements mix together for a seamless look. More photos of this kitchen here. As classic as milk & cookies, the combination of creamy white with rich, warm natural browns is a great option for people looking to combine colors without stark contrast or much of a style commitment. This combination is inherently traditional, but with the right shade of brown, such as a grayish tan or a dark coffee brown, and sleek minimal hardware, the white and brown kitchen has contemporary potential. 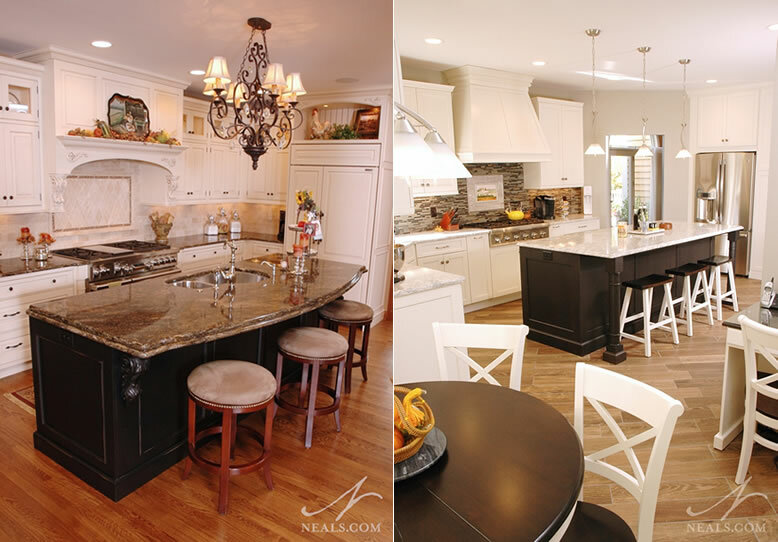 Using the same counter material (one with both pale and brown tones) throughout the kitchen will pull the two colors together, as seen in these two kitchens. More photos of the kitchen on the left here and right here. If you're looking for something a bit more dramatic than the brown and white mix, consider black and white. Here again, the white doesn't have to be a plain or bright white- a soft or off-white can work just as well. 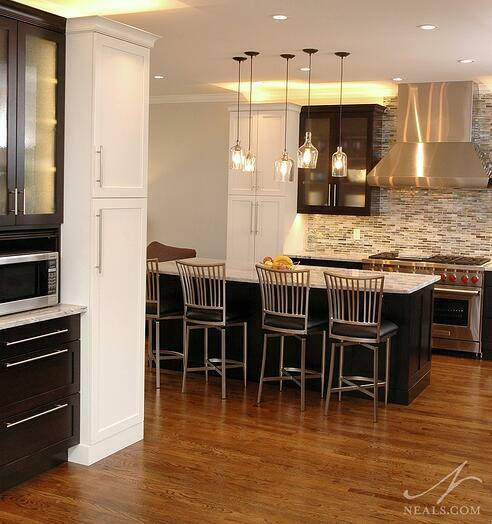 In the same way, a very dark gray or brown can function like black in the kitchen. The goal is to create a point of contrast. 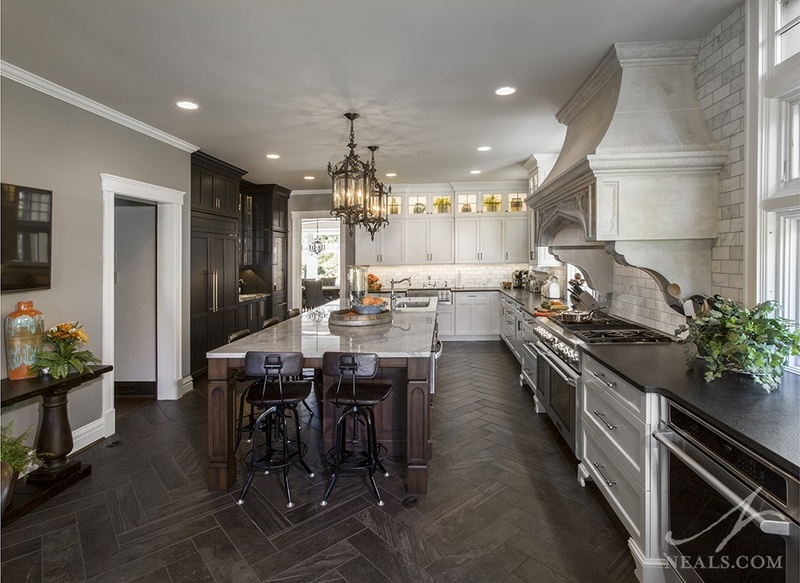 In the two examples above, the addition of black on just the island, surrounded by white perimeter cabinets, creates visual interest and helps the islands stand out as a feature in the space. In the kitchen below, black and white are mixed through the whole kitchen to create a more casual design that feels more blended. When you move past the safety of a simple 2-color pairing, color mixing gets a little more interesting and a little more difficult to pull off. 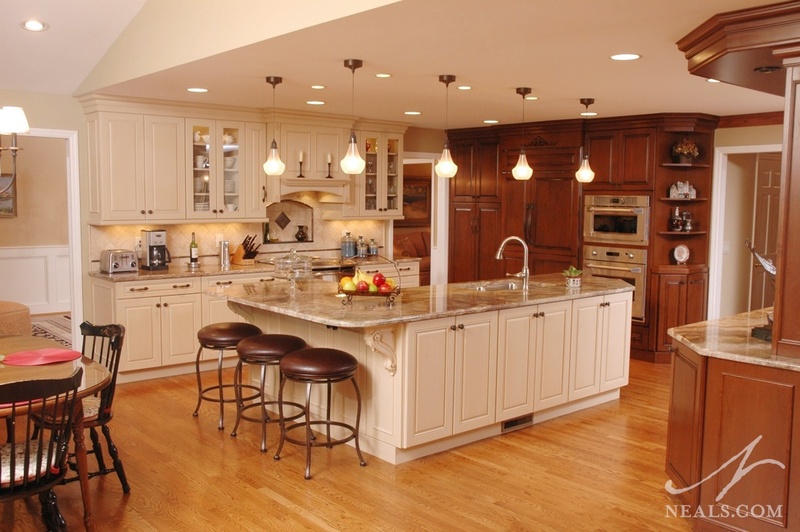 One of the more common palettes used in the kitchen is the grouping of white, gray and brown. To make this more colorful mixture work, it must start with finding a brown and gray that work in partnership. If the gray is too cool and the brown too warm, no amount of white will tame the clashing. 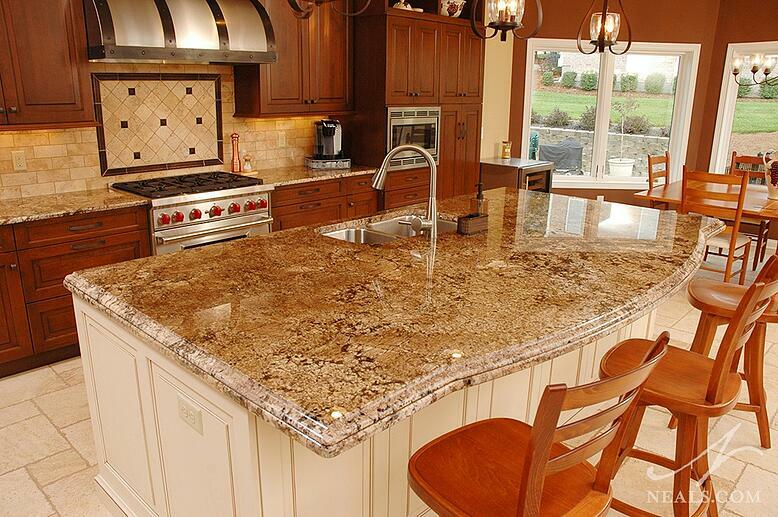 In the kitchen below, brown was used only for the island, helping that element look like a piece of furniture, which is a growing trend in kitchen design. To tie all the colors together, the countertop stays the same throughout. Using white gray and brown to designate zones in the kitchen is another option that helps distribute the colors for a cohesive design. 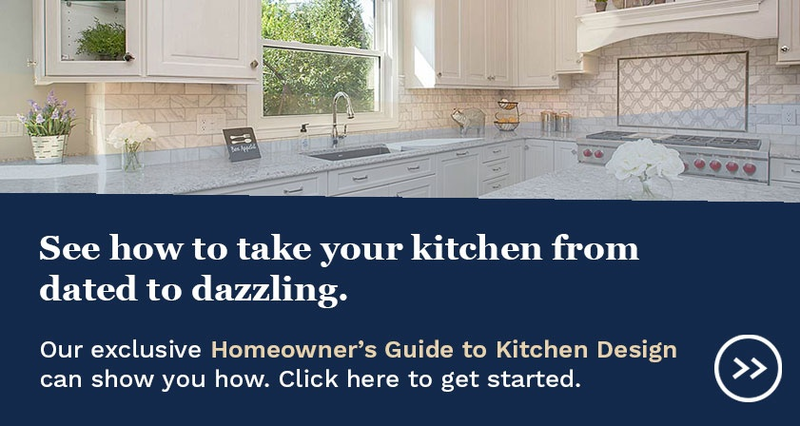 In that case, each space can use a different combination of colors, creating vignettes that work perfectly as stand-alone designs, and blend seamlessly together for the whole kitchen's color story. 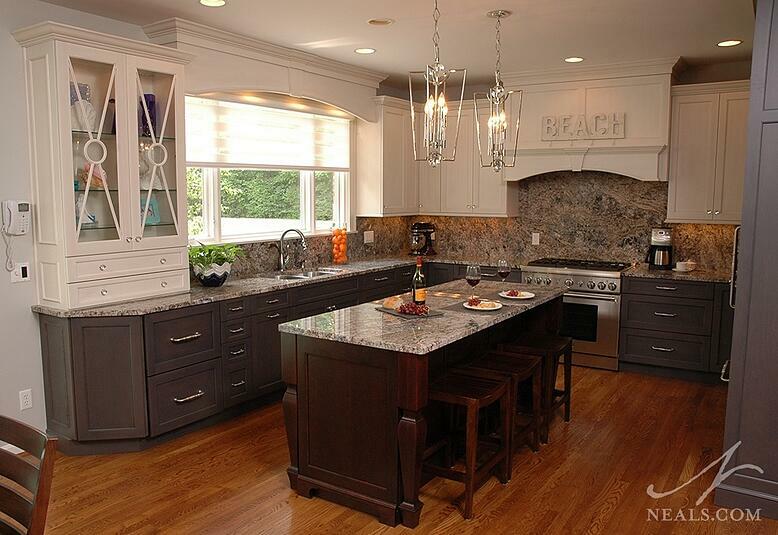 This kitchen below is a prime example of this type of zoned and mixed color. 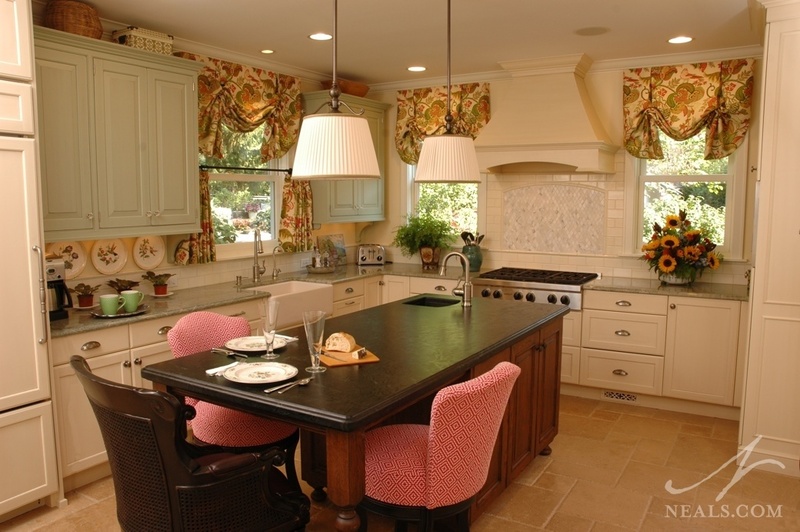 Each area uses two of the three colors- one for the cabinets, one for the counter. All those neutrals work well in most homes because they adjust to personal tastes easily, but sometimes an actual color feels like the perfect addition to the palette of the kitchen. In that case, start by considering one of the combinations above and just replacing one of the neutrals with a color. 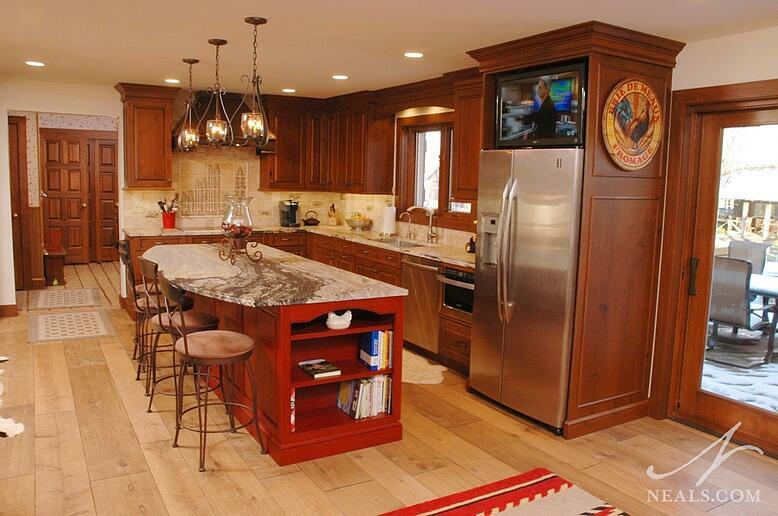 In the kitchen above warm, casual brown pairs with red for a kitchen with a lot of personality. In the three-color cottage kitchen below, the wall cabinets were painted celadon green for an eclectic design that helps the green tones in the countertops pop, and helps the kitchen feel like a comfortable, casual space. 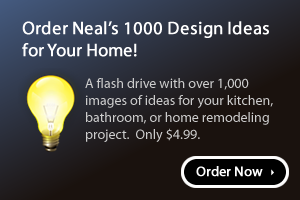 For more inspirational projects visit Neal's Design Remodel on Houzz.